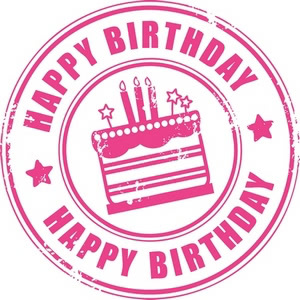 Earlier this week, the Quilting Gallery turned 7!! I want to thank you all for visiting my site over the years, leaving comments, sending me email, buying my patterns, joining swaps and other fun events. I adore all of you! If someone had told me seven years ago, that quilting would become my main source of income and encompassing so much of my life, I wouldn’t have believed them. But that it has, and I’m very grateful and fortunate to be able to live the life as a quilter. I have lots of exciting things planned for you in the new year. 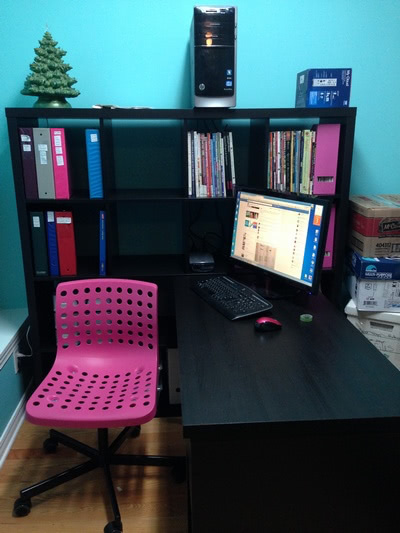 Of course, the move has put me a bit behind schedule, but I’m working hard to get caught up. 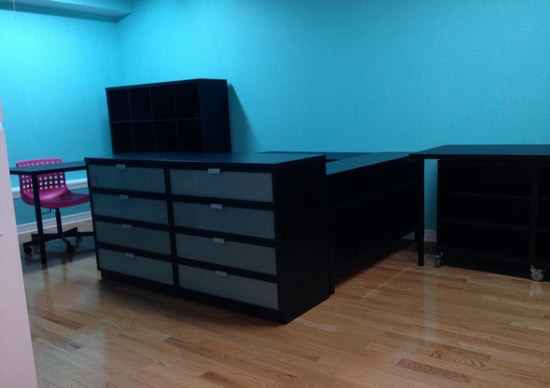 I’ll be sharing more complete photos next week… for now, here are a couple I took after Ikea delivered and assembled the new studio furniture. 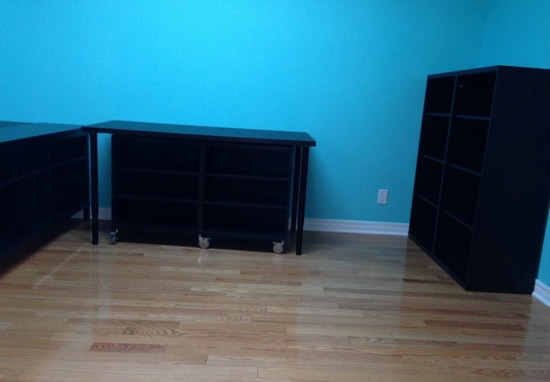 I’m just about done organizing and sorting everything into their new home and will be stitching THIS weekend. I haven’t sewn a stitch since before our Thanksgiving, mid October. I’ve really missed it. 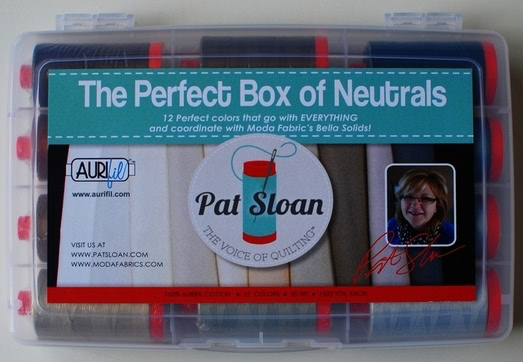 To celebrate the Quilting Gallery’s birthday, our friends at Aurifil have generously donated a thread box of Pat Sloan’s The Perfect Box of Neutrals. Aren’t these threads just gorgeous? 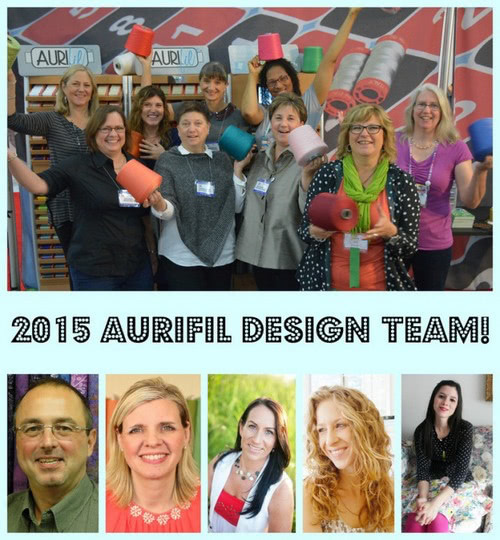 Earlier this month, Aurifil announced the 2015 Aurifil Design Team. For the past few years, designers have been making free quilt blocks to share with Aurifil fans. You might remember my Nana’s Buttons block from earlier this year. To enter the give-way to win the The Perfect Box of Neutrals, simply leave a comment below telling me which of the above designers you’re most excited to get to know better next year and that you are looking forward to their free mini quilt pattern. One random winner will be chosen next Thursday, December 18th. Winner will be notified via email. One entry per person please. Aurifil pays for shipping directly to the winner. For me, I can’t wait to see what Ebony Love and John Kubiniec come up with. I adore mini quilts! Looking forward to Nancy Rink! The gift of quilting is a true blessing. But sharing your talent is even better. I’d like to get to know John Kubiniec a little better this year and read more about his designs and quilting. Reading and following the rest of the ladies will be on my list of to do for next year also. Thank you for the newsletter and Happy New Year to everyone. i would love to learn the breezy beginners sampler patterns, they are awesome. i want to meet Joanna Figueroa! Her website and fabrics are beautiful! Love so many of the designers, but will chose Barb Groves. The thought of decorating the whole neighborhood just had me so happy. Spreading joy everywhere! I’d really like to see more of Lynn Harris, I love much of her work. Looking forward to learning more about Ebony Love because she is involved with EQ7 and the EdeN system. Want to leearn more about both. I have been sewing for many years, so now I am starting in the world of quilting and I am loving it. I’m just starting to follow this site and can’t wait to see what all the designers are doing. then will get to know them and their work!!! 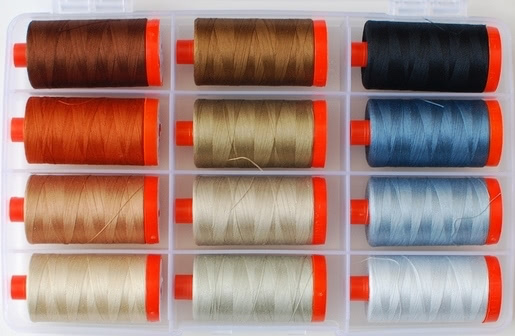 Love the colors of thread which woulf be a godsend to win as I got a new embroidery machine for Christmas!! !